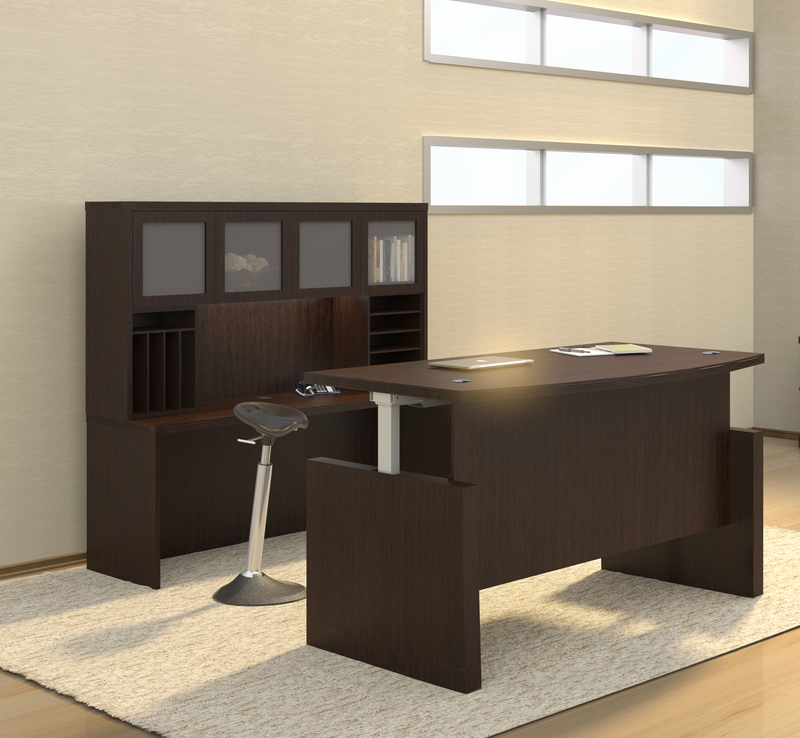 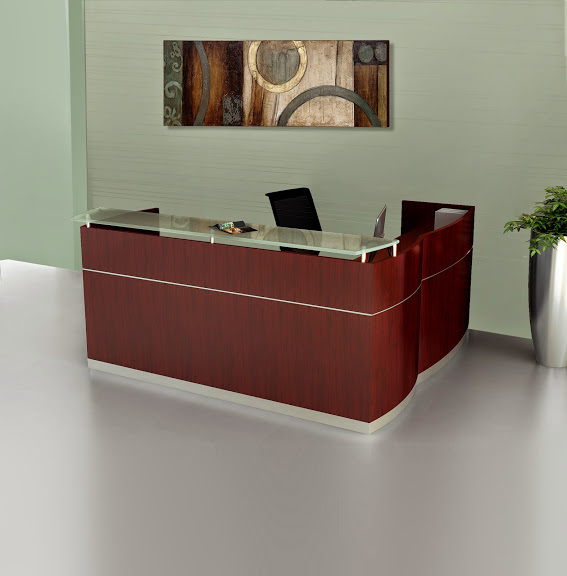 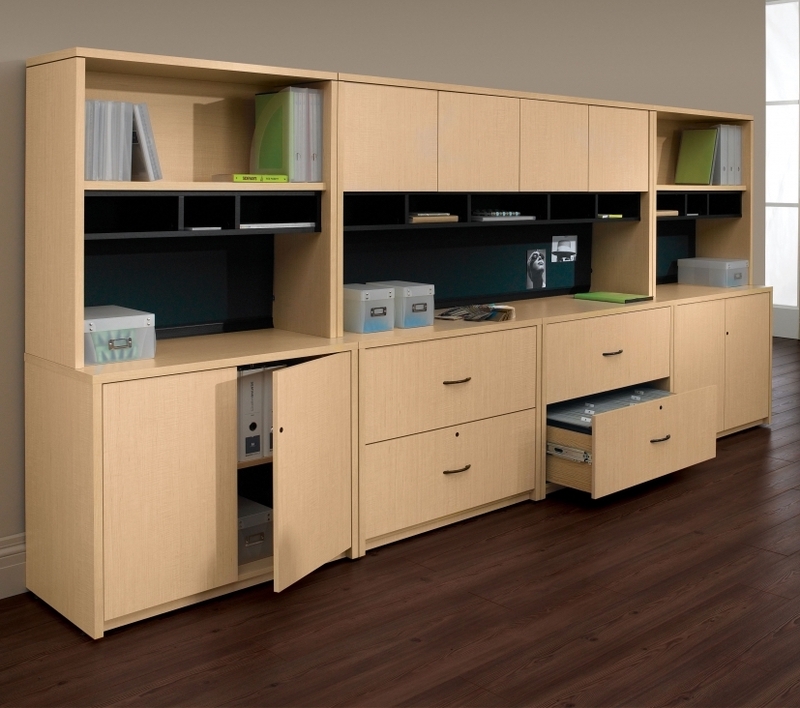 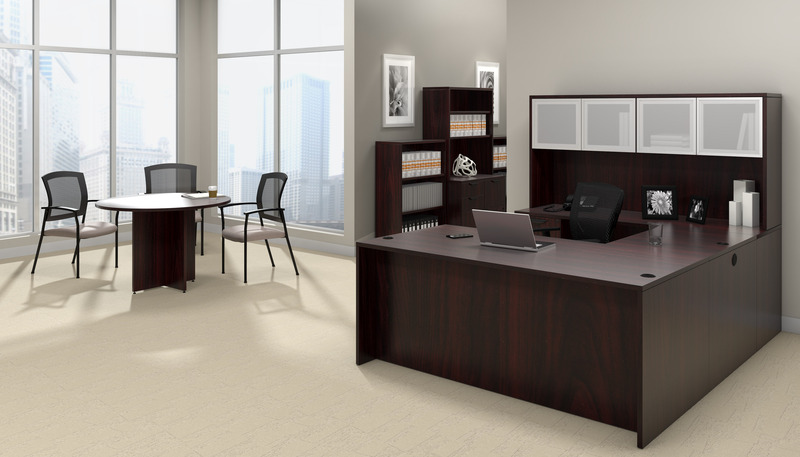 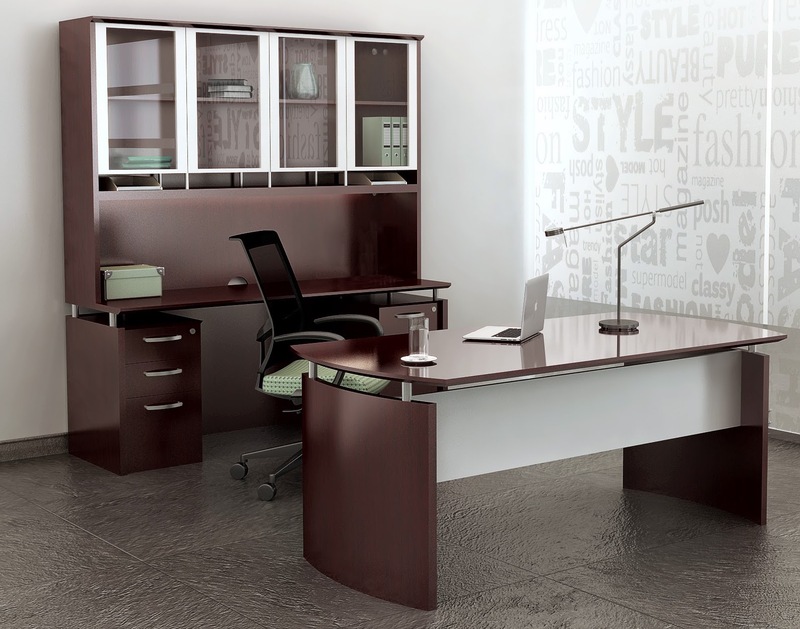 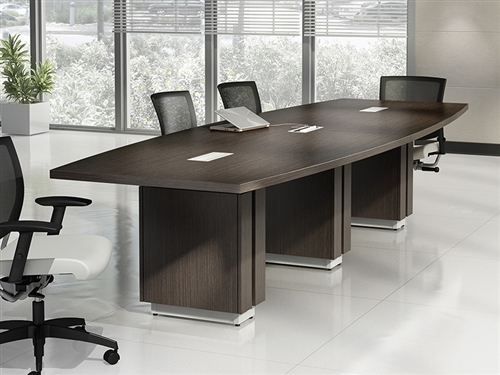 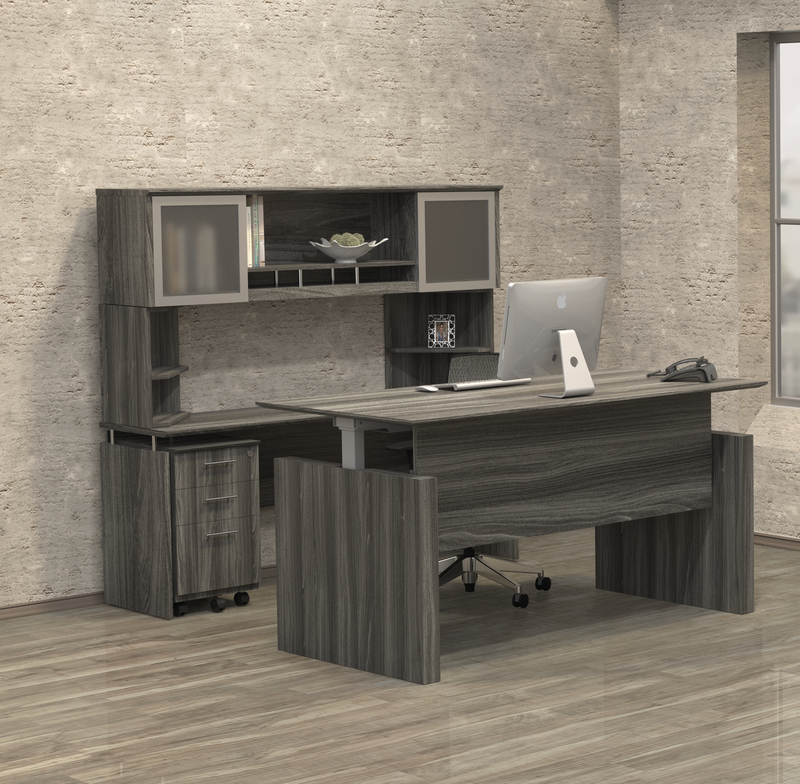 The 1001VL model desk from the Safco | Mayline SOHO collection offers high end appeal and integrated storage. 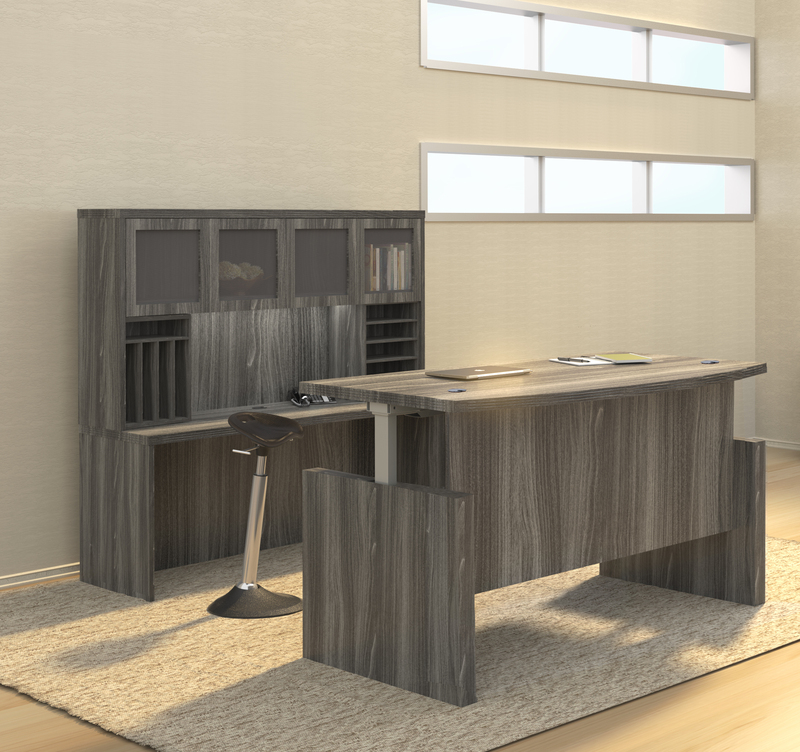 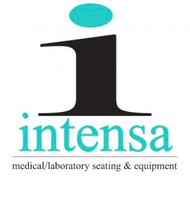 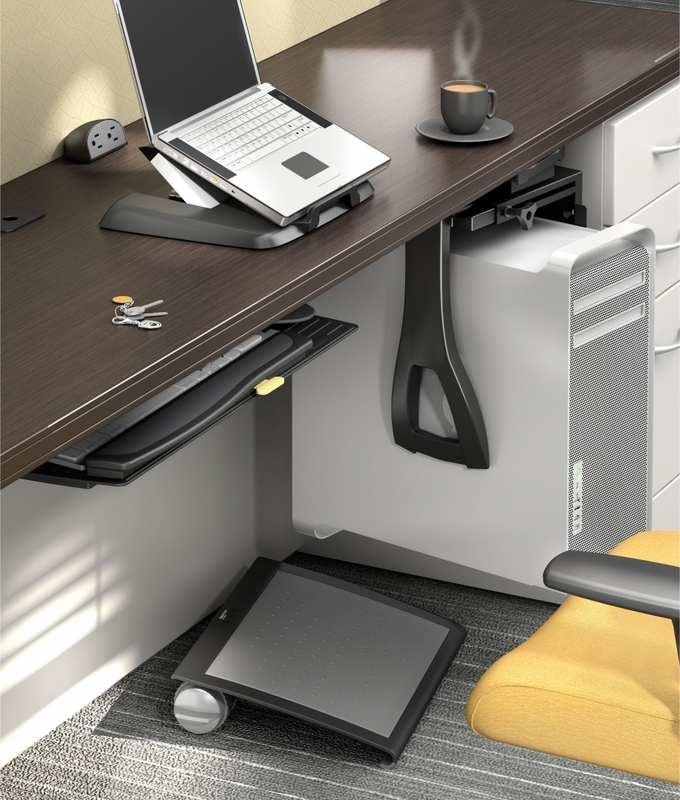 This contemprary computer desk comes complete with a V-style metal leg structure that supports a textured lamiante operating surface. 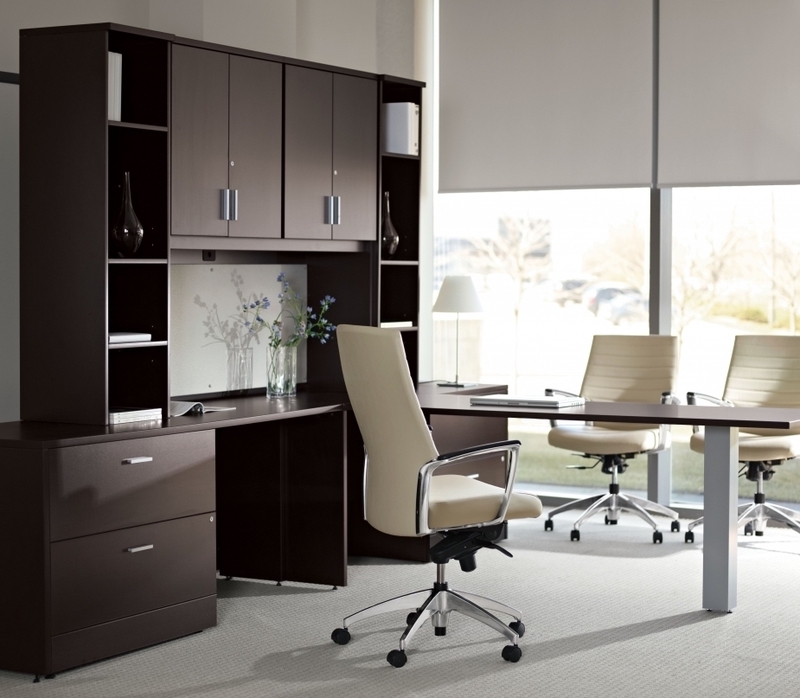 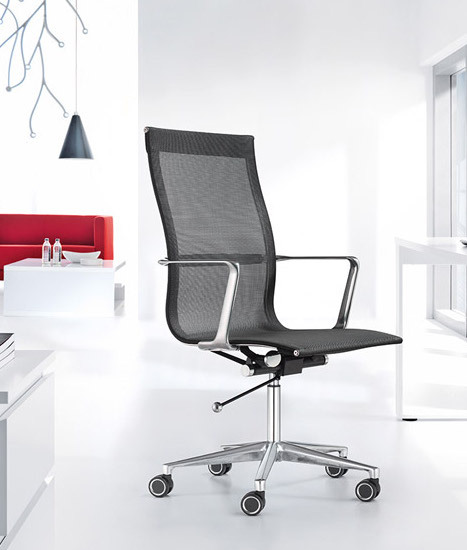 Choose from White and Black finish options.